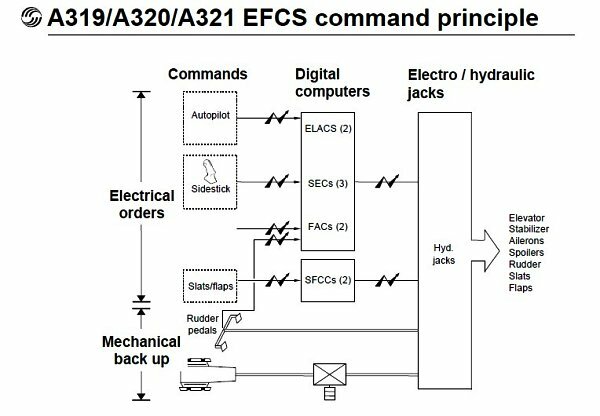 Fly-by-wire (FBW) is a computer controlled system that in the A320 series and A330 / A340 and now the new A350 aircraft replaces the conventional flight controls of an aircraft (like those found in the 737) with an electronic system. 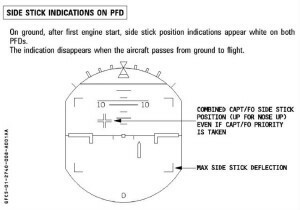 The pilot controlled inputs to the side stick in the flight deck are converted to electronic signals transmitted by wires (thus the fly-by-wire term). 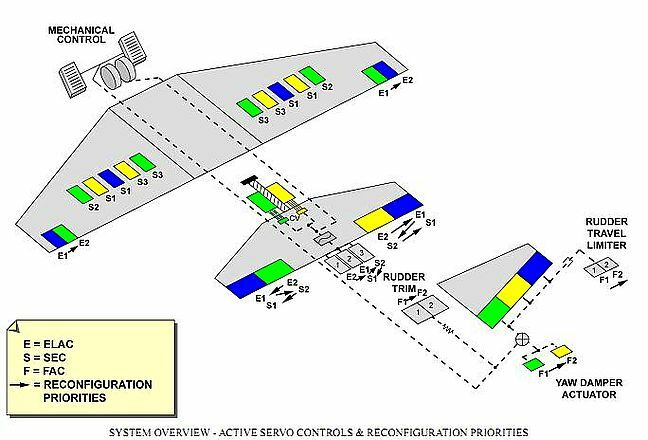 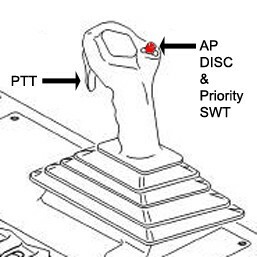 The flight control computers then decide how to move the actuators at each control surface to provide the control response. 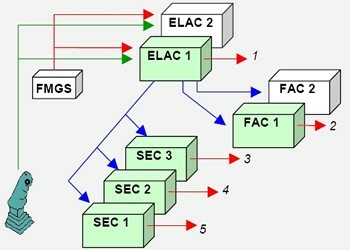 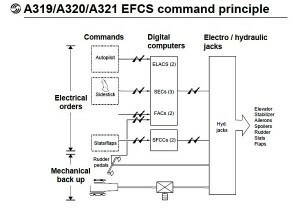 Additionally FBW concept allows signals sent by the aircraft’s flight control computers to perform functions without the pilot’s input, for example to help stabilize the aircraft or to protect the flight envelop. 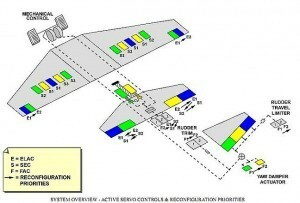 In the green arc (for illustration) the bank set by pilot will be held by the FBW system. 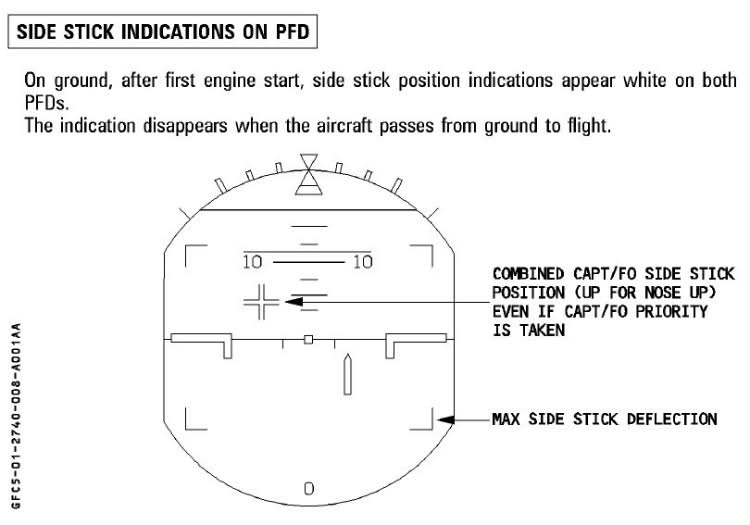 Beyond the 33degree limit (yellow arc) the pilot will have to hold bank on (for example in a steep turn) returning the side stick to neutral will result in the bank returning to 33degress of role.